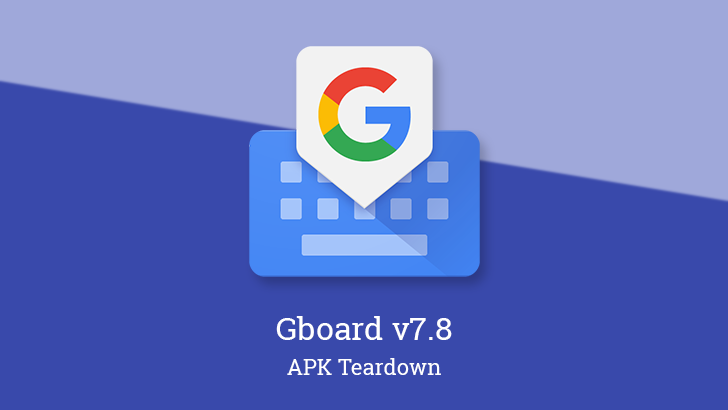 The latest update to the Gboard app is now out, but it doesn't appear to be adding any features in this update, or at least not yet. A teardown points to some enhancements to some features we've either seen in the past or expect to go live in the near future, including tweaks to the Clipboard Manager, an option to delete search history, follow-ups related to voice typing, and of course, a ton of new languages and localized keyboards. We've been tracking a new clipboard manager for a few versions, and it was even live for a number of people at one point. Oddly, the feature never finished rolling out, and has since disappeared for most people, if not all. While there's no real information about why this feature crawled back into its shell, it's possible that it was either unfinished, or simply not polished enough for a proper introduction. Two new lines seem to indicate that there's at least a little more fine tuning of the UI. These will add section titles for recent and older clippings. These will likely come alongside a dedicated space for pinned clips. The built-in search feature on Gboard is just like any Google search field, but sometimes it feels a little lacking compared to some of the other places you'll find it. Even so, some basic features should be available, but one particular gap has been around for a while. You can't easily delete your search history from Gboard. However, that's going to be changing. An option to clear your search history appears to be in the works. We've previously discussed an upcoming enhancement that would speed up voice typing my moving all of the processing to phones, thus removing the round trip with Google's servers. Now there's a list of the languages that should be able to take advantage of this feature. There are 43 languages in total, and likely more to come as Google optimizes for additional languages. One interesting note is that it seems there is text for a feature card discussing voice typing, but leaving out the distinctions about on-device processing. In fact, it reads as though voice typing in languages other than English is a brand new feature. I'm not quite sure what is intended here, but I imagine this text might be changed before the feature card actually appears. If you're concerned with potential privacy and security implications with Google storing recordings of your voice, you'll have the option to keep that audio from being stored. An option in settings will allow you to choose whether or not recordings should be saved under your account. As an interesting addition, there are a couple lines that also discuss using Gboard while signed out. Since this is in the context of voice typing, the message explains that the recordings won't be stored (because there's no account to store them on), but it is an interesting detail. After all of this, it makes you wonder how many languages Google has left to add. They've got to be getting fairly close to running out, right?